Discovered and developed in England over 100 years ago, Melanistic Mutant Pheasants are a `mutant` variety of the Ringneck Pheasant. Although these birds don`t have a truly native range, they have become solid members of forest ecosystems, meadows, and temperate woodlands. These birds are smart, cautious, and savvy. They are one of the top choices for releasing for naturalization. 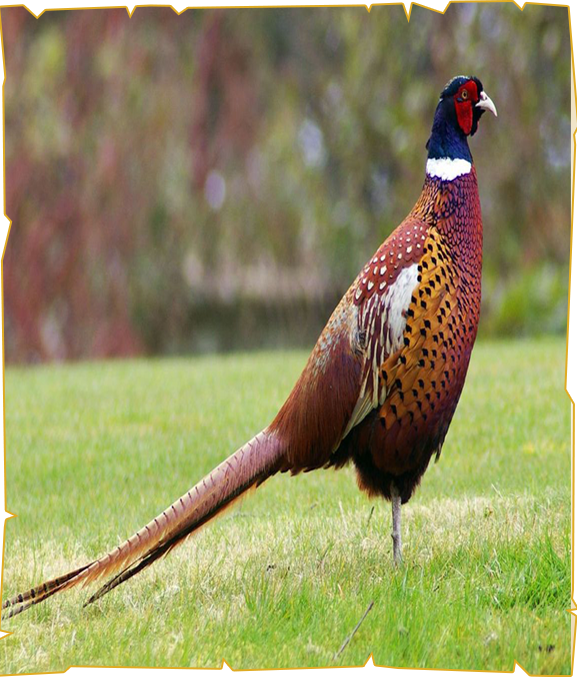 These pheasants have one of the longest wild life-spans. In captivity, they live 9 years on average, but have been known to live longer than 15 years. Total length of the males is between 24 and 35 inches, and up to 20 inches of that total length can be their tail. Females have shorter tails and usually measure 20-25 inches in total length with 7-8 inches of tail. Melanistic Ring-necked Pheasants in the wild eat a varied and seasonal diet. A 20% protein game feed would be appropriate for young birds and breeding birds.